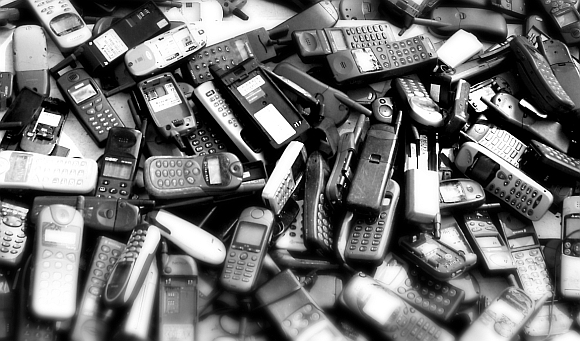 Dumbphones are on the way out! Global marketing intelligence firm IDC has just released its latest findings on the current state of world’s mobile phone market and the numbers are very interesting. First up, global mobile phone sales have increased to 27.1% in the first quarter of this year – a marked increase from the same quarter last year. 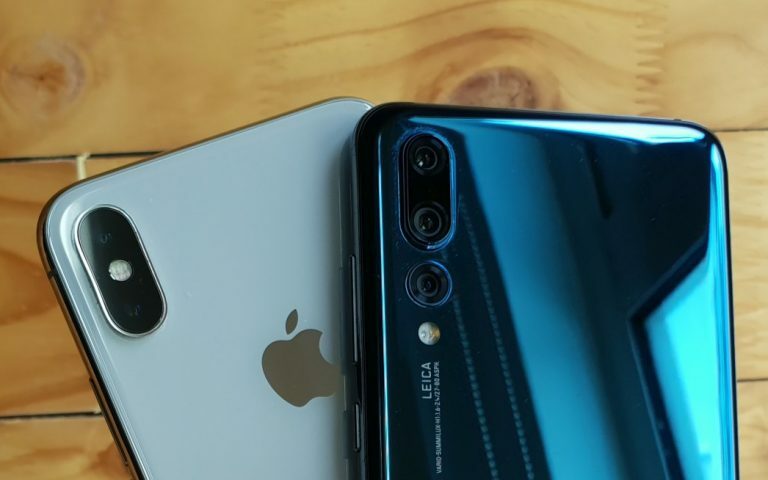 Overall, mobile phone makers shipped out 242.9 million devices in the first three months of this year compared to 242.2 units in the first quarter of 2009. Secondly, IDC says that the strong growth in the sales of mobile phones is fueled by a strong demand for smartphones. 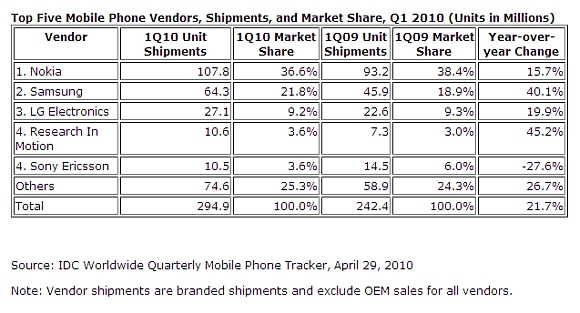 This is clearly evident in the fact that for the first time, Blackberry made it into the top 5 devices being shipped in 1Q10. At the same time Motorola, who was once a dominant force in the mobile phone market consistently being ranked in the top 5 of the IDC list, didn’t ship enough devices to make the cut. Motorola ranked as high as number 2 in 2004 and was ranked fifth last year. For 1Q10 RIM, the makers of Blackberry, pushed 10.6 million units compared to Motorola’s 8.5 million units in the same period. Apple on the other hand, managed to ship out 8.75 million iPhones in the first three months of 2010. In comparison, Nokia, the world’s number one mobile phone maker, puts out a whopping 107.8 million units in 1Q10; making almost half of the total number of mobile phones shipped in the the quarter. Smartphones are the way of the future. There is a strong demand for converged devices and manufacturers need to pay attention. For us, 2010 will possibly be one of the best years for smartphones ever. So does this hold true in Malaysia. Will your next mobile phone purchase be a smartphone? Nokia started the year with a strong first-quarter unit shipment performance, driven by its top-selling 5130 and 2700 models. Shipments of 107.8 million in 1Q10 represented a nearly 16% improvement over the same quarter last year. The overall figures, however, fell short of the first-quarter high it set in 2008. Converged mobile device shipments increased sharply on a year-over-year basis due to top-selling models such as the 5230, 5800, 5530, and X6. However, average selling prices for converged mobile devices dropped to €155 in 1Q10, compared to €186 in the previous quarter. Nokia plans to ship the N8 (the first converged device to run the Symbian 3 operating system) in the third quarter. The N8 will cost €370, according to Nokia, and is expected to boost Nokia’s overall ASP.